Availability during peak time is extremely limited, advance bookings are recommended. We have other great boats at various sizes and prices available. Checks are preferred. Credit cards are accepted but subject to a 5% convenience fee. Reservations not paid in full within 30 days of departure are required to be paid by credit card or wire transfer. 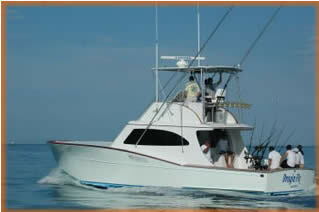 To confirm reservations a $500 per boat/day deposit is due within 7 days. Reservations not secured by deposits are subject to cancellation without notice. Deposits are not refundable, but are transferable if cancelled greater than 60 days from the date of the trip. Balance is due 30 days prior to any trip. 100% refunds for weather cancellations. The decision for a weather cancellation can only be made by the captain. If fuel prices increase above $5.00 a gallon, a fuel surcharge may apply. The Dragin Fly will go wherever is needed to insure the best possible fishing experience for our customers. 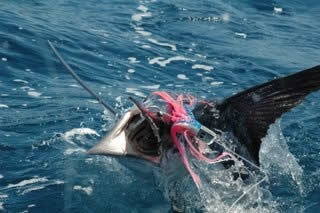 Targeting billfish using offshore trolling techniques that were perfected in Costa Rica. are also encountered. 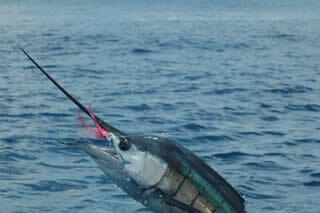 Fly fishing for sailfish is available. 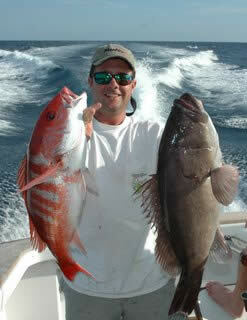 of variety of snapper species including the big cubera snapper, grouper and more. 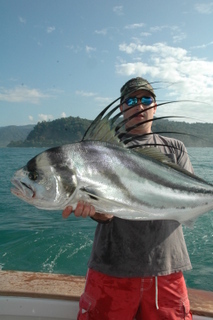 roosterfish, corvina, mackerel and many more inshore species.